DETAILS: All accommodation is en suite in luxury converted cottages or an adjacent B&B, and the holiday price includes dinner and drinks, self-service breakfast, pub lunch, all transport during your stay, and the services of our guides Stephen and Graeme. Group size maximum seven clients. Great White, Little and Cattle Egrets float over the reedbeds, or fish in the watery ditches known as rhynes. Bitterns, too, are often glimpsed as they fly low over the reeds. In July, you can watch returning waders along the coast, Marsh Harriers overhead, and if we are lucky, Cranes – Europe’s tallest bird. In winter, the marshes are packed with waterbirds, and up to half a million Starlings! Depending on the time of year, we also visit Cheddar Reservoir, the Quantock and Mendip Hills, and the coast, where almost anything can – and does – turn up. At a time when much of Britain’s birdlife is in decline, Somerset offers a truly awesome birding experience. Our unrivalled knowledge of some of Somerset’s best-kept secret sites, and their birds, means you’ll get unforgettable views of some of Britain’s most charismatic species. We love showing people not just the birds and other wildlife of Somerset, but also the history and culture of this unique county and its myriad landscapes: from hills, to coast, to those magical wetlands. So please join us on a relaxing, enjoyable and above all memorable tour. 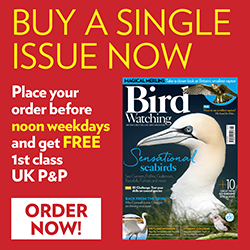 Somerset is now the best place in Britain to see – and get great views of – some of the country’s most sought-after bird species. The Avalon Marshes are the heron capital of Britain, with up to seven species breeding there. And in winter they play host to one of the greatest of all British birding spectacles: the famous Starling murmurations. Our star species – and the proud logo of Somerset Birdwatching Holidays – is one of Britain’s greatest conservation success stories. Having arrived on the Avalon Marshes less than a decade ago, these stately white herons now breed in large numbers, and sightings are absolutely guaranteed. Or ‘toasted heron’, as one local schoolboy named it. One of Britain’s most elusive species, the Bittern has made an extraordinary comeback, from just 11 booming males in the 1990s to more than 50 now on the Avalon Marshes alone! We’ll keep a sharp eye out for these charismatic birds as they appear momentarily on the edge of a reedbed, or fly overhead. Europe’s tallest bird – and one of its most spectacular – can be surprisingly hard to track down in this huge wetland, but we’ll check out the latest reports and hope to connect with flocks of these stately waterbirds in the fields around West Sedgemoor. This elegant falcon returns from Africa in late April, when flocks gather over the marshes on fine spring days. We’ll keep a constant eye out for these speed merchants as they hawk acrobatically for insects in the skies above. Europe’s smallest egret first bred in the UK on 2009 – guess where? Yes, Somerset! Since then flocks of more than 100 birds have been seen, lending a touch of Africa to the West Country. We’ll visit a local heronry where the birds breed, and hope to see them as they fly in and out. Watching half a million Starlings performing their aerial acrobatics is a truly awesome experience – however many times you are lucky enough to see it! We ensure that we are in place well in time on a winter’s afternoon to witness this incredible ‘Starling Spectacular’!